Whiplash and other neck pain. The quality of evidence ranges from weak to low quality results. Other reviews have found no evidence of significant benefit of chiropractic treatments in asthma, baby colic, bedwetting, carpal tunnel syndrome, fibromyalgia, gastrointestinal disorders, kinetic imbalance due to suboccipital strain (KISS) in infants, menstrual cramps, or pelvic and back pain during pregnancy. SMT is no more effective for acute low back pain than inert interventions, sham SMT or as adjunct therapy. SMT also seems to be no better than other recommended therapies. Our evaluation is limited by the few numbers of studies; therefore, future research is likely to have an important impact on these estimates. Future RCTs should examine specific subgroups and include an economic evaluation. What can we conclude from all of these systematic reviews? Chiropractic has barely any clinical usefulness, and even where there maybe some positive results, it’s very weak and probably isn’t clinically significant. But maybe if you feel better, and there’s little risk, why should anyone complain? Unless there is a serious health risk from chiropractic. The American Heart Association (AHA), one of the leading organizations that advocate for better cardiovascular health, published a systematic review and a statement in the AHA’s journal Stroke, that stated that treatments involving cervical manipulative therapy (CMT) of the neck, a chiropractic treatment that involves of the vertebrae, may be associated with stroke. Most dissections involve some trauma, stretch or mechanical stress. Sudden movements that can hyperextend or rotate the neck — such as whiplash, certain sports movements, or even violent coughing or vomiting — can result in CD, even if they are deemed inconsequential by the patient. Chiropractic techniques for CMT vary amongst practitioners, and admittedly, some may be extraordinarily careful in what they do. Unfortunately, some manipulations used as therapy by chiropractors forcefully thrust to extend and rotate the neck. By doing so, this type of neck manipulation could cause a vertebral artery dissection, because there are four arteries, one on each side (carotid arteries) and two on the back side of the neck (vertebral arteries). CD is an important cause of ischemic stroke in young and middle-aged patients. CD is most prevalent in the upper cervical spine and can involve the ICA or VA. Disability levels vary among CD patients with many having good outcomes, but serious neurologic injury can occur. Clinical reports suggest that mechanical forces play a role in a considerable number of CDs, and population controlled studies have found an association of unclear etiology between CMT and VAD stroke in young patients. Although the incidence of CD in CMT patients is probably low, and causality difficult to prove, practitioners should both strongly consider the possibility of CD and inform patients of the statistical association between CD and CMT, prior to performing manipulation of the cervical spine. If you’re just stubborn, and insist on seeing a chiropractor, despite the scientific fact that it doesn’t work, and despite the risk of stroke might be high, you should be aware of the signs and symptoms of arterial dissection, because your chiropractor probably is too unethical to actually describe the risk to you (as opposed to real doctors who always describe both the benefit and the risk). The best scientific evidence, as established by systematic reviews published by top researchers in high impact factor journals, states that there is little or no evidence that chiropractic does anything to treat any medical condition. Some practitioners and patients can provide weak anecdotes or beliefs about the effectiveness of chiropractic, but that’s not scientific data. 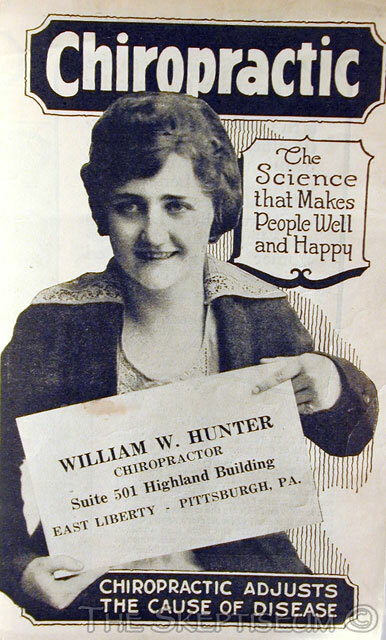 Maybe people see chiropractors because they think they feel better (though placebo effects do that). 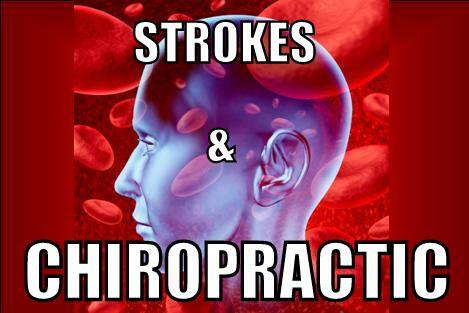 But one should weigh that non-effect with the small but clear risk that spinal manipulation can lead to a stroke. And if you have a serious stroke, no chiropractor is going to help you, it will take real physicians with real medications to prevent serious harm, and even then it’s not a sure thing. There is no scientific evidence, as established by high quality systematic reviews, that chiropractic has any significant clinical effect. It might cause a stroke. It doesn’t make sense to take a very dangerous risk for no benefit. But if you are convinced by anecdote and the placebo effect that chiropractic works, be aware of the symptoms of arterial dissection and stroke. However, don’t see a chiropractor. It’s a waste of money. Biller J, Sacco RL, Albuquerque FC, Demaerschalk BM, Fayad P, Long PH, Noorollah LD, Panagos PD, Schievink WI, Schwartz NE, Shuaib A, Thaler DE, Tirschwell DL. ; on behalf of the American Heart Association Stroke Council. Cervical Arterial Dissections and Association With Cervical Manipulative Therapy A Statement for Healthcare Professionals From the American Heart Association/American Stroke Association. Stroke. 2014;45:00-00.). doi: 10.1161/STR.0000000000000016. Biondi DM. Physical treatments for headache: a structured review. Headache. 2005 Jun;45(6):738-46. Review. PubMed PMID: 15953306. Brand PL, Engelbert RH, Helders PJ, Offringa M. [Systematic review of the effects of therapy in infants with the KISS-syndrome (kinetic imbalance due to suboccipital strain)]. Ned Tijdschr Geneeskd. 2005 Mar 26;149(13):703-7. Review. Dutch. PubMed PMID: 15819137. Cross KM, Kuenze C, Grindstaff TL, Hertel J. Thoracic spine thrust manipulation improves pain, range of motion, and self-reported function in patients with mechanical neck pain: a systematic review. J Orthop Sports Phys Ther. 2011 Sep;41(9):633-42. doi: 10.2519/jospt.2011.3670. Epub 2011 Aug 31. Review. PubMed PMID: 21885904. Ernst E. Spinal manipulation for asthma: a systematic review of randomised clinical trials. Respir Med. 2009 Dec;103(12):1791-5. doi: 10.1016/j.rmed.2009.06.017. Epub 2009 Jul 30. Review. PubMed PMID: 19646855. Ernst E. Chiropractic spinal manipulation for infant colic: a systematic review of randomised clinical trials. Int J Clin Pract. 2009 Sep;63(9):1351-3. doi: 10.1111/j.1742-1241.2009.02133.x. Review. PubMed PMID: 19691620. Ernst E. Chiropractic treatment for fibromyalgia: a systematic review. Clin Rheumatol. 2009 Oct;28(10):1175-8. doi: 10.1007/s10067-009-1217-9. Epub 2009 Jun 21. Review. PubMed PMID: 19544042. Ernst E. Chiropractic treatment for gastrointestinal problems: a systematic review of clinical trials. Can J Gastroenterol. 2011 Jan;25(1):39-40. Review. PubMed PMID: 21258667; PubMed Central PMCID: PMC3027333. Fernández-de-Las-Peñas C, Alonso-Blanco C, Cuadrado ML, Miangolarra JC, Barriga FJ, Pareja JA. Are manual therapies effective in reducing pain from tension-type headache? : a systematic review. Clin J Pain. 2006 Mar-Apr;22(3):278-85. Review. PubMed PMID: 16514329. Glazener CM, Evans JH, Cheuk DK. Complementary and miscellaneous interventions for nocturnal enuresis in children. Cochrane Database Syst Rev. 2005 Apr 18;(2):CD005230. Review. Update in: Cochrane Database Syst Rev. 2011;(12):CD005230. PubMed PMID: 15846744. Gross A, Miller J, D’Sylva J, Burnie SJ, Goldsmith CH, Graham N, Haines T, Brønfort G, Hoving JL; COG. Manipulation or mobilisation for neck pain: a Cochrane Review. Man Ther. 2010 Aug;15(4):315-33. doi: 10.1016/j.math.2010.04.002. Epub 2010 May 26. Review. PubMed PMID: 20510644. Leininger B, Bronfort G, Evans R, Reiter T. Spinal manipulation or mobilization for radiculopathy: a systematic review. Phys Med Rehabil Clin N Am. 2011 Feb;22(1):105-25. doi: 10.1016/j.pmr.2010.11.002. Epub 2010 Dec 30. Review. PubMed PMID: 21292148. O’Connor D, Marshall S, Massy-Westropp N. Non-surgical treatment (other than steroid injection) for carpal tunnel syndrome. Cochrane Database Syst Rev. 2003;(1):CD003219. Review. PubMed PMID: 12535461. Pennick VE, Young G. Interventions for preventing and treating pelvic and back pain in pregnancy. Cochrane Database Syst Rev. 2007 Apr 18;(2):CD001139. Review. Update in: Cochrane Database Syst Rev. 2013;8:CD001139. PubMed PMID: 17443503. Posadzki P, Ernst E. Spinal manipulations for the treatment of migraine: a systematic review of randomized clinical trials. Cephalalgia. 2011 Jun;31(8):964-70. doi: 10.1177/0333102411405226. Epub 2011 Apr 21. Review. PubMed PMID: 21511952. Proctor ML, Hing W, Johnson TC, Murphy PA. Spinal manipulation for primary and secondary dysmenorrhoea. Cochrane Database Syst Rev. 2006 Jul 19;(3):CD002119. Review. PubMed PMID: 16855988. Rubinstein SM, Terwee CB, Assendelft WJ, de Boer MR, van Tulder MW. Spinal manipulative therapy for acute low back pain: an update of the cochrane review. Spine (Phila Pa 1976). 2013 Feb 1;38(3):E158-77. doi: 10.1097/BRS.0b013e31827dd89d. Review. PubMed PMID: 23169072.